The ED on Friday conducted searches at the homes and offices of former ICICI bank chief Chanda Kochhar and her husband Deepak, and Videocon Group's Venugopal Dhoot in a bank loan fraud case. Mumbai: Former ICICI Bank CEO Chanda Kochhar and husband Deepak Kochhar appeared before the Enforcement Directorate here Saturday in connection with a money-laundering case related to a bank loan fraud, officials said. The two reached the central agency’s regional office in Ballard Estate area around noon, a day after the ED raided their premises. Officials said the investigating officer of the case will record their statements under the Prevention of Money Laundering Act (PMLA). The ED on Friday conducted searches at the premises of Chanda Kochhar, former chairman ICICI Bank, and Venugopal Dhoot of Videocon Group in Mumbai and Aurangabad, respectively. A total of five premises were covered, officials said. The two were grilled by the agency officials on Friday too. It is expected that Dhoot, a Videocon Group promoter, who was also questioned on Friday, will appear before the agency on Saturday. 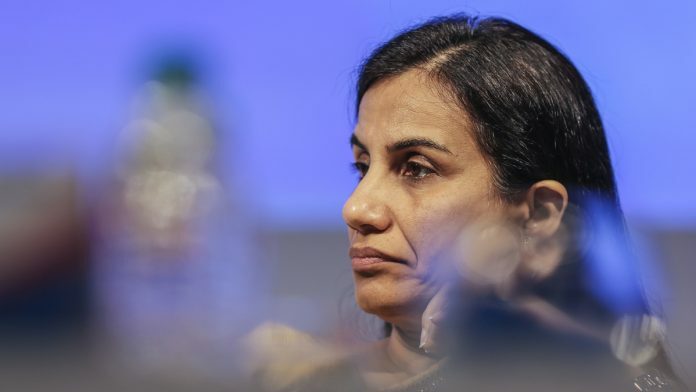 The ED has registered a criminal case under the PMLA early this year against Chanda Kochhar, Deepak Kochhar, Dhoot and others to probe alleged irregularities and corrupt practices in sanctioning of Rs 1,875-crore loans by ICICI Bank to the corporate group. The CBI has named all the three and Dhoot’s companies — Videocon International Electronics Ltd (VIEL) and Videocon Industries Limited (VIL). The CBI also named Supreme Energy, a company founded by Dhoot, and NuPower Renewables, a company controlled by Deepak Kochhar, in the FIR.